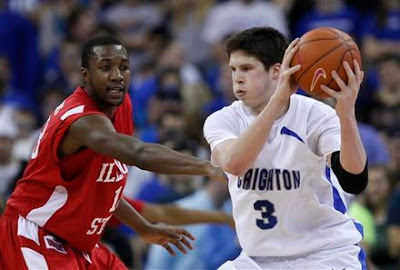 Doug McDermott and Creighton help headline the 2012 BracketBusters (AP). The annual ESPN BracketBusters weekend is finally here. This weekend ESPN and its affiliates will feature 13 televised games, pairing the best of the best mid-majors looking for that non-conference resume building win to be catapulted into the NCAA Tournament and potentially upset higher seeded teams, thus ‘busting the bracket.' The two-day event, spanning Friday and Saturday, has continuously grown over the last 10 years and will host a record 70 non-televised games, making it the largest BracketBusters pool since the 2003 inception. So what qualifies a team to be labeled a mid-major or be selected for the BracketBusters? A select group of conferences are participating in this series, most notably conferences that receive four or fewer at-large bid(s) to the NCAA Tournament. These conferences include: America East, Atlantic Sun, Big Sky, Big South, Big West, Colonial, Horizon League, Ivy League, Metro Atlantic, Mid-American, Mid-Eastern, Missouri Valley, Northeast, Ohio Valley, Patriot, Southern, Southland, Southwestern, Summit League, Sun Belt, West Coast, and Western Athletic. 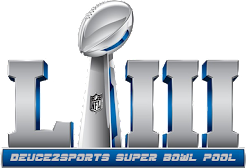 Many of the teams selected for the BracketBusters, especially those playing on television, are selected by a committee based off their body of work throughout the season. The goal is to pair the best two mid-major teams against each other to simulate a post-season tournament type of game. The remainder of the pool is selected for future tournament hopefuls or teams gaining some publicity before the season ends (much like the end-of-season version of “24 Hours of College Hoops”). Has there been any success with the BracketBusters format? What’s the atmosphere like at BracketBusters games? Each team brings its own unique style, flair, history, and tradition to BracketBusters. Many of the televised teams will be good enough to qualify for the NIT if they do not qualify for the NCAA Tournament. With the first several rounds of the NIT played on campus, the intensity of the BracketBusters is a foreshadowing of what could repeat in late March. Students will come out with signs aplenty, painted bodies, and other crazy concoctions to show school spirit or to create a hostile environment for the road challengers. The school itself might host a promotional night (i.e. “white out”) for more attendance and thus a stronger home court advantage. These mid-majors don’t take tradition lightly; they might not match the number of championships, Final Four appearances, or NBA players as the “BCS” schools, but they are proud in their own accomplishments and accolades. Banners litter many of these arenas; especially those at Wichita State, Creighton, Iona, and Nevada which represent conference titles won, NCAA Tournament appearances, or even NIT and NAIA titles. Are there any rising superstars that will be featured this weekend? If you’re looking for some under-the-radar talent, there’s no other place than this weekend’s slate of games. Weber State’s Damian Lillard (25.1 ppg) will showcase why he is the leading scorer in the country this season when the Wildcats host UT-Arlington. Murray State’s Isaiah Canaan and Saint Mary’s Matt Dellevedova have become the catalysts for their respected squads. They face off on Saturday in what is arguably the best BracketBusters matchup all weekend. Doug McDermott, the Creighton Bluejay (22.9 ppg, 49.4% 3FG, 60.9% FG) amidst National Player of the Year discussion, has been the Missouri Valley’s most feared players this year. Lastly, Iona boasts the nation’s leading assist leader in Scott Machado (10.0 apg). What are the key pairings for this weekend’s session? Listed below are the dates and networks of the televised games for this weekend. All times are Eastern Standard Time. There you have it. Almost everything you need to know about the BracketBusters. You can follow Kyle on Twitter (@almek14) for up-to-date news and ramblings of normal and college basketball lives.